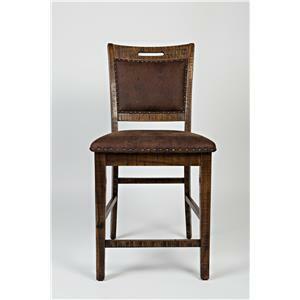 The Slat Back Counter Height Stool w/ Upholstered Seat is a perfect mate to the Counter Height Table. 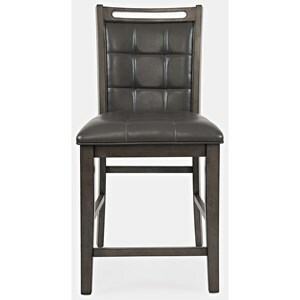 Its sleek, contemporary design is evident in the design of its tapered legs and slat back details. A soft upholstered seat is perfect for lounging and visiting with family and friends around the matching Counter Height Table. 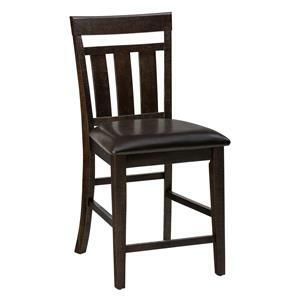 Enhance your dining room or kitchen with this stool and enjoy friendly conversations and the utmost style. 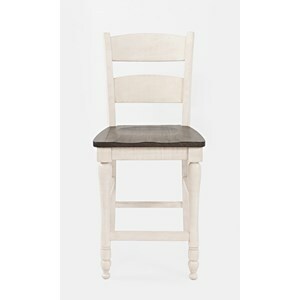 The Bakery's Cherry Slat Back Counter Height Stool w/ Upholstered Seat by Jofran at Van Hill Furniture in the Grand Rapids, Holland, Zeeland area. Product availability may vary. Contact us for the most current availability on this product. 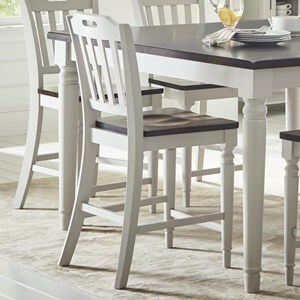 The Bakery's Cherry collection is a great option if you are looking for Casual Mission furniture in the Grand Rapids, Holland, Zeeland area. 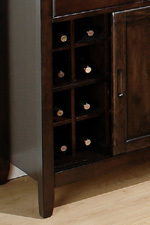 Browse other items in the Bakery's Cherry collection from Van Hill Furniture in the Grand Rapids, Holland, Zeeland area.